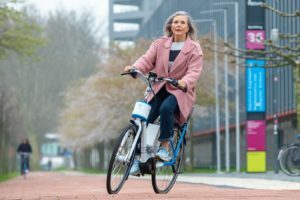 UTRECHT, the Netherlands – Although all efforts were aimed at breaking last year’s record of 30,000 visitors, show organizer VNU Exhibitions was most satisfied with the 29,372 visitors of the Bike Motion Benelux 2010. The show took place last weekend and after Eurobike it is the first stage for new product presentation on the Benelux market. Bike Motion Benelux visitors were mainly positive. One of the exhibitors even noticed that consumers were even more enthusiastic than dealers. Just like at Eurobike, lots of Dutch and Belgium dealers were reluctant to order 2011 products due to a combination of high stock levels and limited credit facilities offered by their banks. 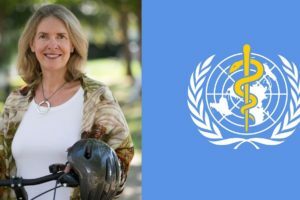 Allowing e-Bikes on display was much discussed topic on the show floor. 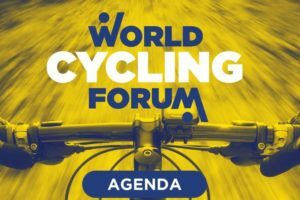 Some believe that e-Bike exhibitors should be allowed on this show, while others want the organizers to maintain the original Bike Motion Benelux concept of a sports bikes event. A strange discussion as all brands that offer electric bicycles as part of their complete range did have them on display. 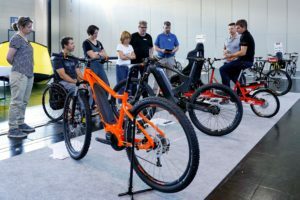 Specialized companies that sell e-Bikes exclusively were not allowed to take part in the show. Next year the show will probably expand with an additional hall. 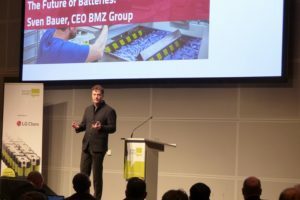 We doubt if organizer VNU Exhibitions will be able to withstand the pressure of a substantial number of e-Bike exhibitors that really want to take part in this popular event. 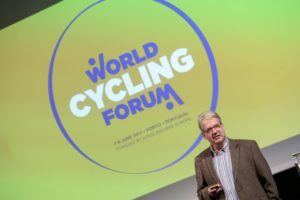 Bike Motion Benelux 2011 will take place from 14 to 17 October.